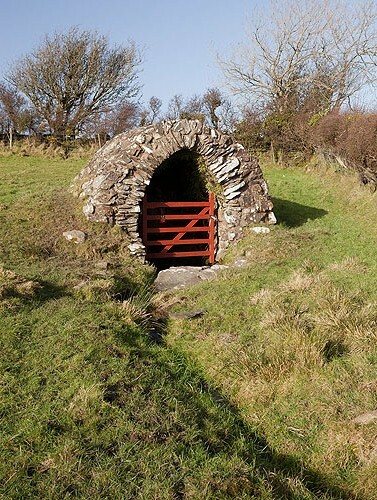 A spring enclosed in a Well formed of undressed stone . A medieval well used for healing diseases of the eyes , with total immersion in the waters . It was also used as a wishing well , with straight or bent pins thrown in depending on whether the wish was good or evil. The nearby church is in a derelict state. The Stone gate posts to the churchyard have incised crosses on 2 of the stones .